Refreshed from top to bottom, with deluxe Sealy beds and ensuite bathrooms. 5-Star comfort on one of Toronto's nicest streets. Note: the above photos show our Deluxe Private rooms. We also offer Standard private rooms that provide basic accommodation at a great price. Spacious room sizes, individual reading lamps and privacy curtains, and modern ensuite bathrooms. No need to rough it. Our brand new guest reception and lounge is the perfect place to read a book or mingle with other guests. 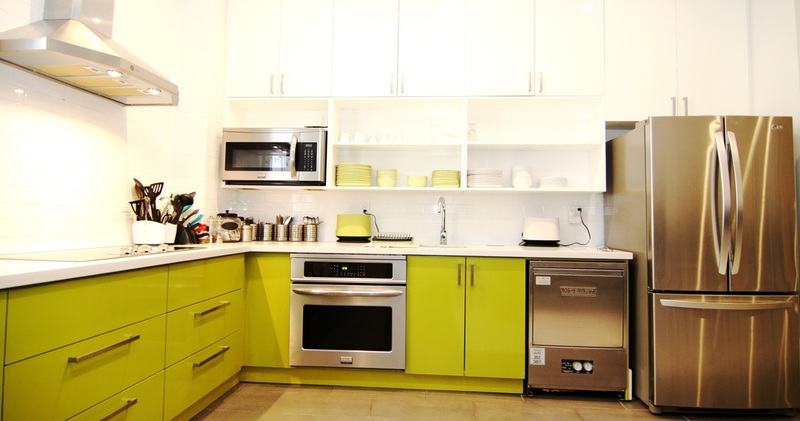 If you're a gourmet at heart, a fully appointed chef's kitchen is also at your disposal. Prepare a full course meal or just some mac n' cheese - a great variety of supermarkets and specialized food shops are located nearby.